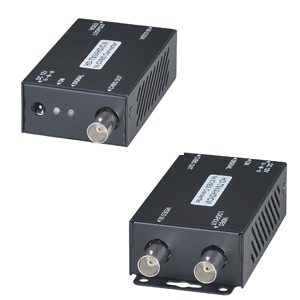 Converts AHD/HD-TVI/HDCVI signal to composite video. Output support: CVBS (Composite video) and AHD/HD-TVI/CVI loop out simultaneously. Built in OSD for easy operation. HD Loop out support Video + Data (Up the coax).